EU has allocated around 17.6 million euro for the construction of a new nuclear waste repository at Chernobyl Nuclear Power Plant. 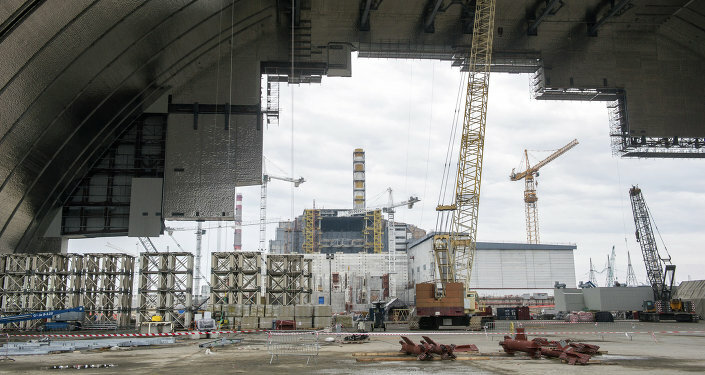 MOSCOW (Sputnik) — The European Union has paid out almost $20 million on the construction of a new nuclear waste repository at Ukraine's inactive Chernobyl Nuclear Power Plant, the UK embassy in Ukraine said Tuesday. According to the press service, there is a plan to construct a centralized storage unit for spent sources of ionizing radiation in the Chernobyl exclusion zone, which will "directly contribute to the safe handling and storage of spent radioactive material from all over Ukraine." As many as 300 thousand sources of radiation, used in engineering, construction and other industries, will be safely stored at the facility in accordance with international standards for radiation safety and security. The Chernobyl nuclear disaster happened in late April 1986 in the then Ukrainian Soviet Republic. The catastrophe heavily contaminated neighboring areas, which now form the exclusion zone. Fallout from the disaster also affected areas in Belarus, Russia and the Baltic region.